This is my forth incarnation of my non-Tribal Banebow deck. Although many people have gone with a fairly Tribal or themed route, I still like this non-Tribal and un-themed route the best. This only includes 2 cards from the Shattered Fates Expansion, Rampant Krygon and Hunter’s Gambit, as I feel those are the only two cards from the new set that are upgrades. 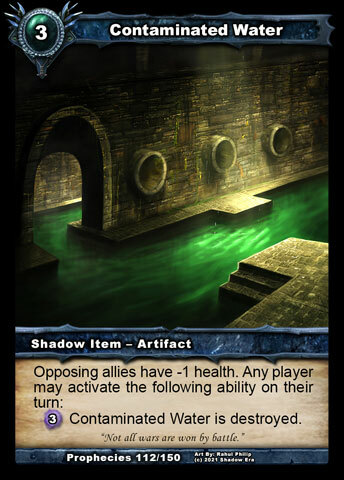 From my experiences, the other cards I see as more of a “nice to have” or “win more”, but not solid enough to include in this non-Tribal based style. This could change over time, however. 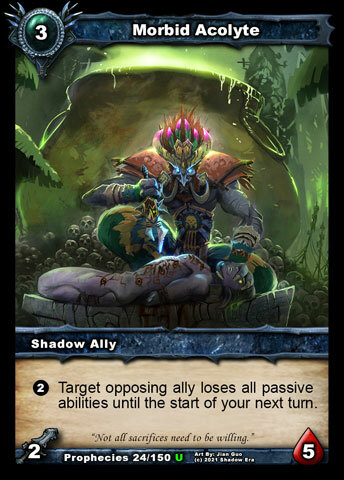 This deck was designed to apply a lot of early game pressure, by aggressively killing opponents allies to control the board. Using this opening in the early game to try and establish board dominance by the time the mid-game is at its climax or as the late game is coming along. 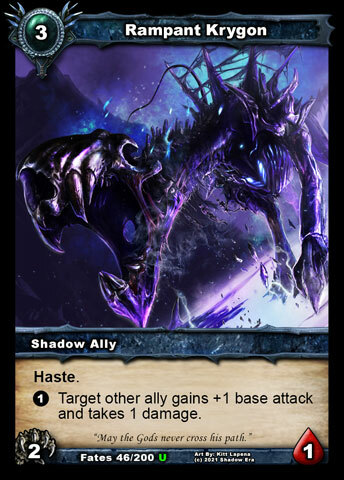 With a grand total of 9 draw cards, and an additional 3 pseudo-draw from Shadow Knight, having a starved hand and not having some form is more often than not a non-issue, at least from my own experience. The way this plays is to try and keep all your 3cc allies to stick around as long as possible, while using your Shadow Ability, in conjunction with any damage output you already have, to take out as many of the opposing allies as you can, while being able to peel at the opposing hero whenever you can. Paraphrasing the wise words of Preybird, Banebow likes to “beat them to death with bug bites”. 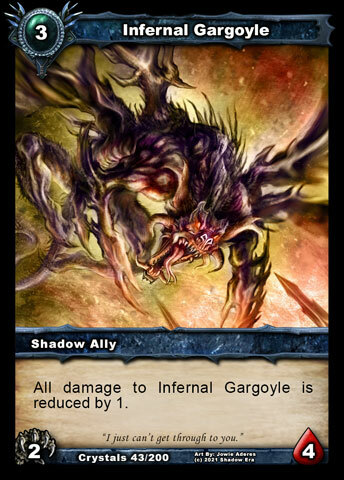 The solid durability of both Gargoyle and Morbid Acolyte is more than likely to allow them to last a good turn or 3. These should be used as your main go-to 3cc ally drops. Try to only use Thaddeus or Krygon if you really need them, as they are a little more fragile (especially Krygon) and taken out more easily. So use them only if you can get some value out of them; else they end up as being tempo losses (especially Krygon). Contaminated Water and Furrion Terror should only be used when you need that ping damage to weaken up multiple allies into kill range. Both can be huge tempo losses if you cannot take a strong advantage on their abilities. 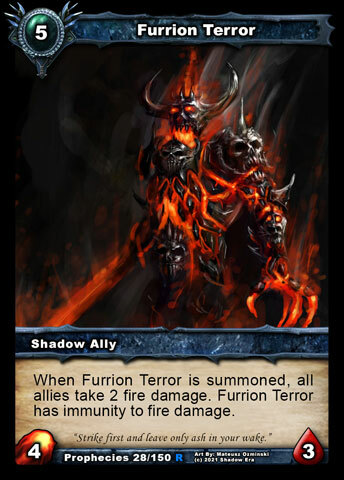 Furrion Terror is very fragile for his cost, while Contaminated Water provides no additional board presence. Try and save your Perfect Shots for any high HP allies you anticipate from the opponent or to take out one particular ally you just lack the damage to kill, but need to take out to re-establish your control of the board. Also, I also tend to never sacrifice too many Perfect Shots as you never know, especially in the Quick Match scene, what surprise fatty the opponent may pull out at you. 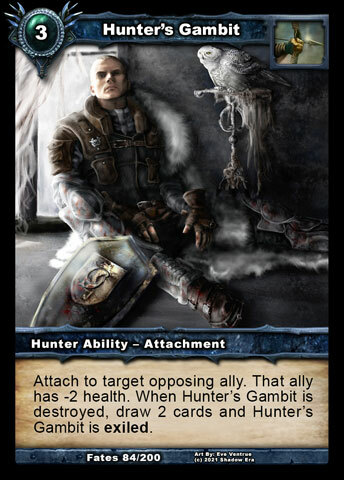 Always remember to use Sacrificial Lamb on an ally you feel will be dead meat anyway during the next turn. It is better to gain more advantage from it before it dies than just have it die and lose advantage. Some final notes on this deck. Like all decks, this has its hard match-ups. Weapon based Heroes and those that run many high health allies will and has always given Banebow much trouble. However, those match-ups are not auto-lose if you can manage to keep up enough damage or the board under control. Another very important thing to remember as well is when playing versus a typical Rush Mage, a seasoned player will play Supernova to wipe the board out around Turn 5 and then just beat you to death using direct damage abilities alone. This is to deny you of any healing from Soul Seeker. So try to deal as much damage as possible when playing against this match-up by Turn 5 or else you might end up into deep trouble. Nice deck and nice wirte-up! 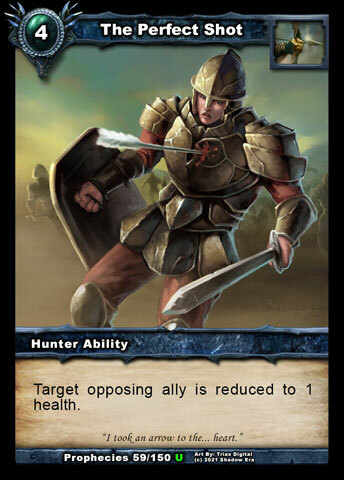 How do you think about inserting Disciple of Aldmor (which can provide more board presence vs tier1 heroes such as Zaladar, Banebow, Victor, Loest…)?